Amazon: Hitachi 2-Cycle Gas Powered Handheld Leaf Blower Only $102.99 Shipped (Regularly $149.95) – Today Only! Here’s your new favorite yard work tool! Hurry over to Amazon.com where today only you can score the Hitachi 2-Cycle Gas Powered Handheld Leaf Blower for just $102.99 (regularly $149.95) with FREE shipping! 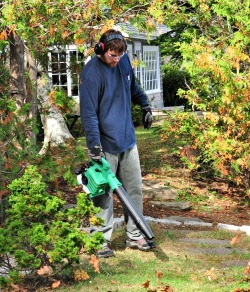 Not only is this Hitachi Handheld Leaf Blower powerful, but it is lightweight as well. It weights only 8.6 lbs. and is well balanced for comfortable use and less fatigue. This Amazon best bargain of the day is valid April 3 only and while supplies last.